Local radio and the local press are often the two most obvious methods of advertising your business. They both serve the area that you do most of your business in and they can both offer deals and packages that make advertising affordable. You may see the choice between the two as simply coming down to price or personal taste or perhaps which media has the most persistent sales team. It shouldn’t be quite as simple as that. When people are listening to the radio, they feel it’s an ‘intimate’ medium. Even if you listen to a national station, then the radio has a personal quality that other media lacks. A local station with local presenters and local stories has an even greater ‘personal touch’ for it’s listeners and so radio has the ability to grow the familiarity of your business and do it in a friendly and trustworthy way. Radio is great at ‘announcing’ things. Radio is a source of news and up-to-date stories and information; so it’s ideal for launching promotions and offers that will be on for a limited time and you want people to respond to quickly. What you are trying to achieve with your radio advert will influence the way you go about writing it. If you are telling people about a special offer or promotion, then a ‘newsy’ style would be good. If you want to build awareness of your business and what it offers, a more laid-back style might be better. So write down what you want your radio advert to achieve and when you do that, try not to use the word ‘and’ and certainly don’t do a list of things. No matter what you might hear other people doing on the radio, single mindedness and simplicity are the keys to effective radio advertising. 60 seconds isn’t a long time, 30 seconds is less. Well you can’t say that to the radio. And yet so many radio commercials that you hear are frantic and rushed. Perhaps someone believes it gives them ‘energy. It doesn’t. 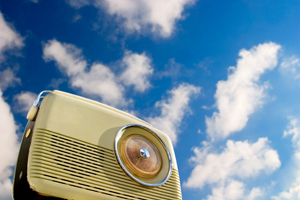 The radio advert that works best will be simple and memorable and appropriate for your business and your audience. To get to that result, you need to follow a few simple steps. What exactly are you offering? Is it a specific promotion or deal or do you want to introduce your business to more people and keep it familiar and ‘front of mind’ to those who already know you? Who are you talking to? Who is your target audience? How old are they? How well off are they? Why would they be interested in what you have to say? Put those two together. From the target market’s point of view, what is the benefit of what you are offering them? What problem that they have does it solve? What is ‘the idea’ going to be? How can you dramatise or demonstrate that benefit in a way that is memorable and the audience is going to find attractive. Get that list right and half the battle is won. Now what will your commercial sound like and what will it say? A David Attenborough sound-alike, some Macaw and cicada sound effects and you are there. A radio commercial can take you into the past or the future, put you anywhere on the surface of the planet or even make you laugh. A clever idea takes a lot of skill and money to pull off, but you should keep the possibilities that radio has to offer at the back of your mind. For most of us, when we decide to run a radio campaign, the radio station will produce the commercial for us. If you have completed the 4 steps above then you’ll have a good idea of what the radio advert needs to do; the radio station should have creative producers who will help you produce something that achieves that. When they present you with their suggested idea or script, these are a few things to check. Make sure your business name is mentioned at least twice and preferably three times. If you want people to contact you, only have one way of doing that. Mention your phone number or your web address. If you ask them to remember both you’ll just confuse them. When people are listening to the radio, they are often driving, and if not they’ll be doing something else, so keep it simple. End the commercial with a clear, single call to action. ‘Visit our showroom’, or ‘Call this number’. Make sure that the reason they should listen; the great offer or fantastic promotion, comes up front. If the idea or script is relevant to what you want to achieve, is it exciting and memorable? If it’s exciting, is it relevant? You need them to give you an idea that is both.